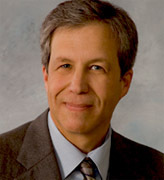 Attorney Gerald D. Neiman, a graduate of Franklin Pierce Law Center in Concord, New Hampshire, now known as The University of New Hampshire School of Law, has been practicing law since 1991. A substantial portion of Mr. Neiman’s work involves bankruptcy representation in the United States Bankruptcy Court for the District of New Hampshire. Mr. Neiman represents consumers and businesses before the federal bankruptcy court. Attorney Neiman and his staff are experienced at handling the issues financial difficulties create for individuals, families and small businesses. Additionally, Mr. Neiman works in the area of consumer concerns for fair credit reporting and fair debt collections practices representation. Attorney Neiman has assisted hundreds of individuals, families and small business owners throughout New Hampshire resolve their financial difficulties. “Thank you for the respect you showed me and for allowing me my dignity.” S.C.
Mr. Neiman is a member of the National Association of Consumer Bankruptcy Attorneys, and the National Association of Consumer Advocates. Mr. Neiman has served on the Board of Directors of a number of New Hampshire non-profit organizations, including the Historic Fitzwilliam Economic Development Association and has served as past President and Chairman of the Board of Directors of the Keene Sunrise Lions Club. He has also served on his local community’s Zoning Board of Adjustment. Attorney Neiman lives with his wife and two children in Londonderry, NH.